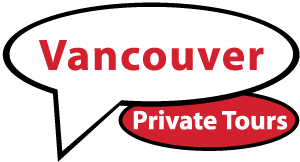 Testimonials - A.E.Vancouver Private Tours & Charters Inc. I booked Alfred after reading reviews on Trip Advisor and I knew immediately from the detailed itinerary he sent me that he was our guy! We were driven around in his comfortable vehicle for the 4 hour tour. Alfred provided expert commentary about the various areas of the city and Vancouver’s interesting history. There were some short stops along the way for photo ops and a quick bite to eat on Granville Island. All five of us felt as if we had seen so much of Vancouver in a stress free way! It was definitely worth paying a little extra for this enjoyable private tour. Thank you Alfred for your help with transfers from the airport to north Vancouver. Our flights were delayed then cancelled from la guardia to Vancouver and Alfred was patience itself . We were originally booked in for 6pm ish but had to alter this 3 times . Each time Alfred notified our hotel. Finally arrived 2am and Alfred was waiting for us already. We have been fortunate to use private guides…In Stockholm we spent the day with a gentleman who handled Mick Jagger’s arrangements. In St. Petersburg we spent time with an experienced woman who accompanied us through the Gold Room and in London we used a married couple who are considered the “go to” guides for foreign dignitaries. We greatly valued their experience and professionalism, however, we liked you best. The promptness, your honesty and your professionalism reflect on your intelligence, your dedication and commitment to your work…Alfred, You Are The Best! Our memories of Whistler, Victoria and the Star of Vancouver’s dinner cruise, are nothing short of amazing. Thanks to your hosting skills, every guided tour in your company was entertaining, grand and diverse. It was unanimous within the “CCQ” group; your first class hosting services were greatly appreciated. YOU DID IT MY WAY! Alfred Esmeijer is the moving spirit (and owner) behind A.E. Vancouver Private Tours. He and his colleagues do everything right; however they also provide a value added that you will not find with most guides. Alfred loves this city and generously shares his knowledge and affection with you. Absolutely the best tour we’ve ever experienced. Matthew was our guide, friendly and very well informed about all aspects of Vancouver. The tour was most informative and we were able to visit all areas on our agenda. The ability to have our own person to ask questions that interested us and Matt knew all areas well. I will always book a private tour where available, by the end of our four hours we had a new friend. I can’t say enough about this nice young man. We learned about restaurants, shopping and more. This tour was nothing short of excellent. I have been to Vancouver a few times before.This time I travelled with my mother visiting from Germany and she requested a german speaking tour.So I found Alfred and he is very professional, knowledgeable and just a great human being who took us on this fantastic experience.I never seen so much off Vancouver before in such a comfortable and efficient way. Alfred is very knowledgeable in many areas of Vancouver history and geography. I promise you that you will not be disappointed. It was amazing to have this customized service and Matt is a great guide. He took us to the highlights of the city during our limited window of time and it made us all want to stay longer or come back for more of Vancouver. He is knowledgable, friendly and is a great ambassador for the city. He knows his history, plants, shopping, all the different regions of the city thoroughly. It was a pleasure.I also want to commend Alfred for keeping in touch with us. I had given them the wrong flight information but he called me directly that day to check in with me and make sure everything was clear. He also called after Matt had dropped us off at Canada Place to let us know that our luggage had been delivered to the proper location.